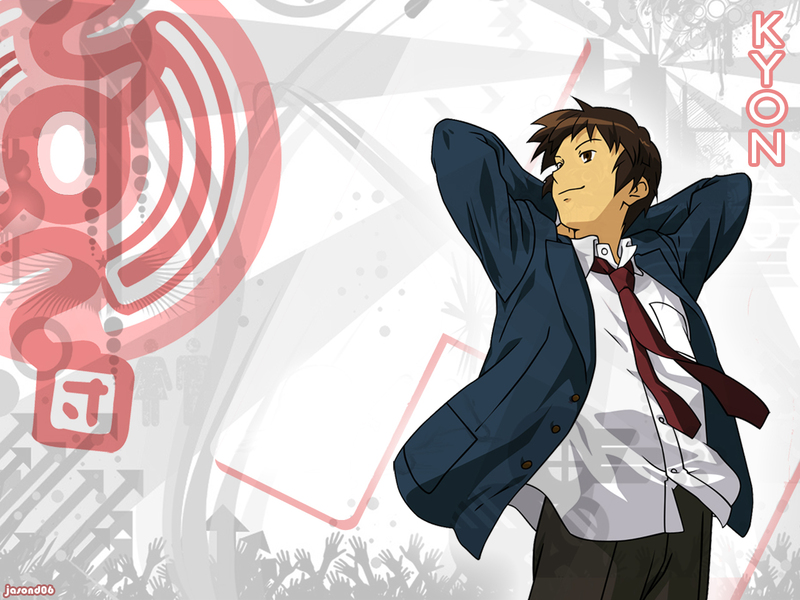 Kyon. From The Melancholy of Haruhi Suzumiya. HD Wallpaper and background images in the funkyrach01 club tagged: funkyrach01 wallpaper. Looking so laid back ...Lucky LOL! !